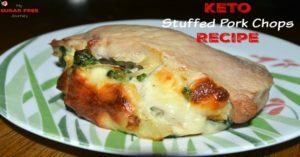 Ketogenic Stuffed Pork Chops Recipe! I’ve always had a thing for stuffed pork chops. In fact I’ve always liked food with more food inside of it, I’m not really sure why but ever since I was kid I loved cream filling, or candy with juice in the center, or pigs in a blanket or anything else with food inside food. It’s weird, I know but that’s me. So when my Walmart put some inch thick pork chops on sale, I knew what I needed to do. The key here is to cut a pocket in the chops that is as big as possible but doesn’t open up to the back or sides. You want it to be able to hold as much filling as possible without leaking out anywhere. Making the stuffing is very easy. Put the diced onions and garlic in a pot with a little coconut oil and the seasoning and cook until soft. 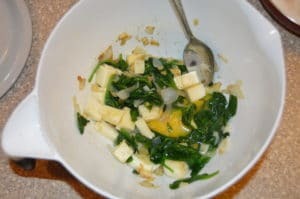 Then stir in the spinach until wilted, then transfer it all to a bowl and stir in some soft mozzarella. I cubed mine but you can shred yours, I just prefer those big chunks of cheese. I might be a cheeseaholic. 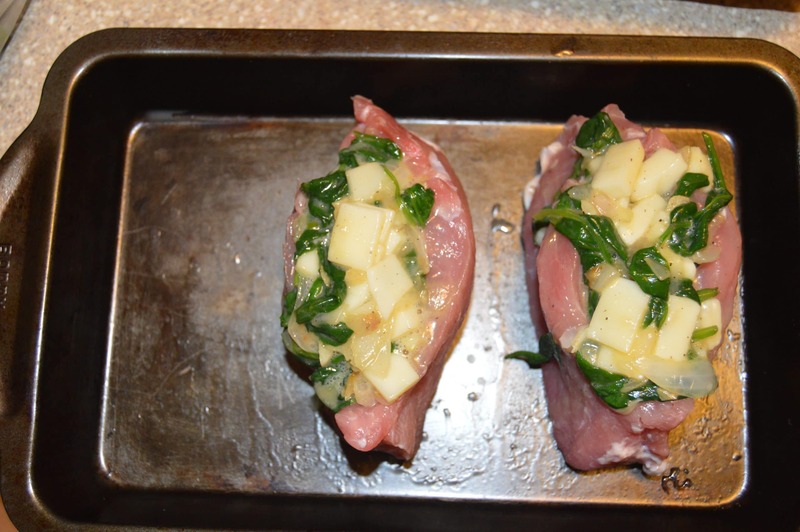 Stuff your pork chops with the mix and put them in a pan standing up. You might need to use toothpicks to prop them but if the chops are thick enough, they will usually stand up on their own. 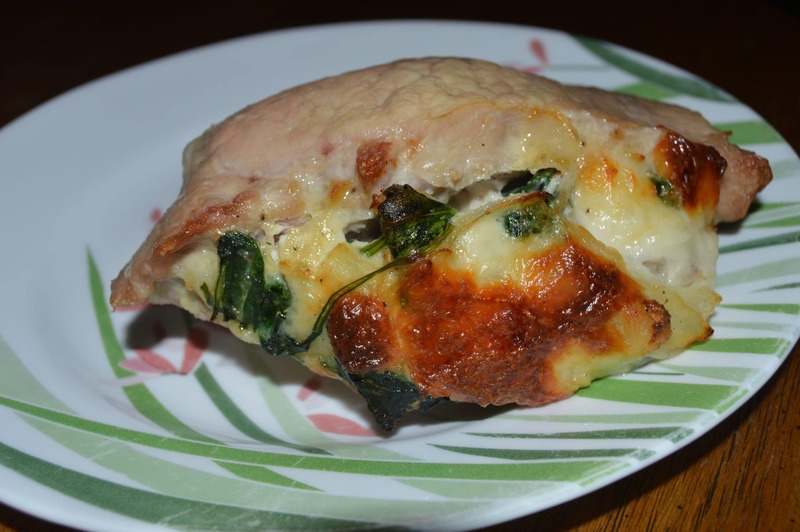 Bake on 350° for about 25 minutes until fully cooked. 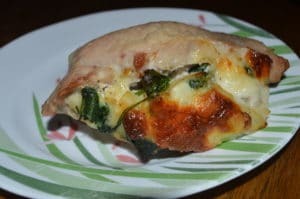 They are moist and tasty and go great with some roasted broccoli and zucchini. Remember you can see all my recipes here. 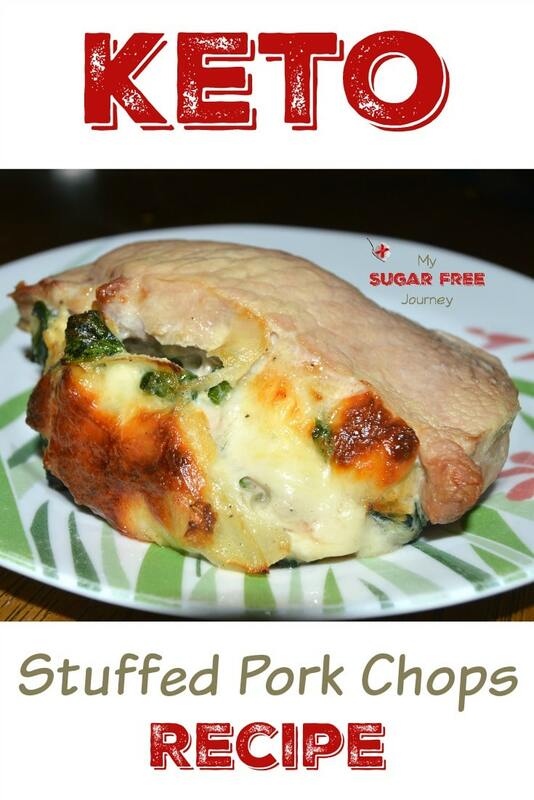 Let me know what you think in the comments or if you happen to make this recipe, tag @MySugarFreeJrny on Instagram so I can see. Thanks! A moist and tasty pork chop recipe high in fat and flavor! PREVIOUS POST Previous post: The Power of the Ketogenic Diet! NEXT POST Next post: 8/17 Weightloss Wednesday: Things Are Moving Forward!